Busy, busy, busy! When it comes to high school track and field in the state, that best describes what it will be like on Monday afternoon. After a two-day postponment due to the rain, all three class meets will be taking place at various venues throughout the state. Class A boys and girls will be held at Coventry High, Class B is slated for West Warwick and Class C will be at Narragansett. What are some of the top events to watch on Monday? Here's a sampling. It could be a down-to-the-wire affair in the Class C girls' 400-meter run with junior Aliya Barrows of Bay View and freshman Rachel Oster toeing the line. Barrows has a state-leading 58.50 best. Oster also has done sub-60 with a 59.62 best. The Class C boys' 800m should be a hotly-contested race with East Greenwich's Colin Cianciolo the No. 1 seed with 1:56.50 clocking. He'll be joined on the line by two other sub two-minute runners - Saint Raphael freshman Darius Kipyego (1:58.0) and Rogers' Graeme Clougher (1:59.5). 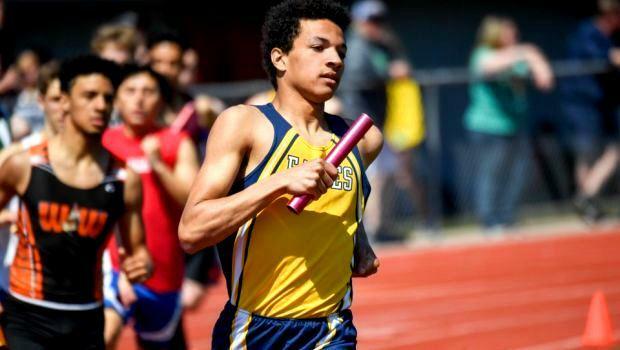 The boys' 200m in Class A could produce a low 22-second time (maybe faster) with state-leader Andrew Whitney of North Kingstown leading a talented core of sprinters. Whitney, who also is No. 1 in the 100m this season, has a seed time of 22.21. Abraham Tambah, our state indoor 55m titlist, comes in with a time of 22.24. There also Bishop Hendricken's Russell White with a 22.50 best. The Class A boys' 1,500m features three of our top six runners in the state. The top seed is Joseph dos Reis, who brings a state-leading 3:59.0 to the line. He'll be matched against North Kingstown's Sam Toolin (4:01.50) and La Salle's Max DiMuccio (4:03.9). The Class B girls' 800m should be over by the time the smoke clears the starter's gun, but it will still be interesting to see just how fast the overwhelming favorite and top seed, Nikki Merrill, runs on Monday afternoon. 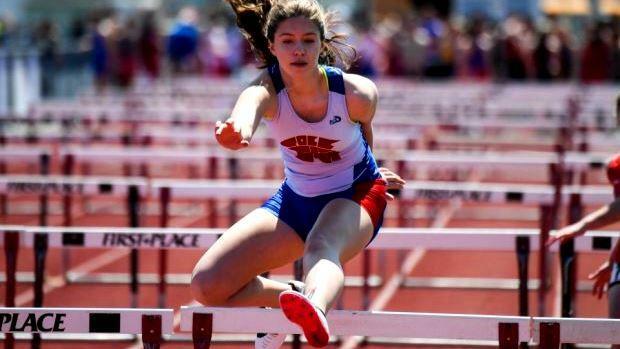 The Portsmouth junior's last competitive 800m race was at the New Balance Nationals in March where she clocked a near state record and PB of 2:07.27. The state's No. 1 and No. 2 throwers in the girls' javelin, who also happen to be teammates, will be battling it out in Class B - Westerly's Megan Albamonti (124-6) and Victoria Carreiro (121-4).